An event in support of Ronald McDonald House Greater Hudson Valley. 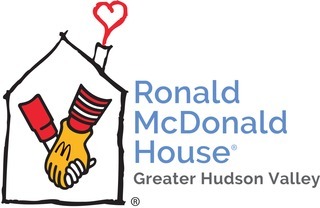 Please help us raise money to directly support the Ronald McDonald House of the Greater Hudson Valley. Our family has been so blessed to have this "Home Away From Home" that has allowed us to stay close to Deskin each time he has been hospitalized. Haldane faculty and staff work together to educate children. It only seems fitting that we work together to help these families and children. We are the staff and volunteers at RMH-GHV and hope you will join us. THANK YOU! Ronald McDonald House of the Greater Hudson Valley gives families with critically ill and traumatically injured children the gift of togetherness and keeps them close to the care and resources they need. The House has 12 bedrooms that are filled to capacity almost every night and meals, laundry and respite services are provided for the families. Located on the campus of the Westchester Medical Center in Valhalla, NY, the House is just steps away from the Maria Fareri Children’s Hospital. Since it opened in 2011, more than 1,800 families have stayed at the Ronald McDonald House of the Greater Hudson Valley. Shannon Clark gave a $40 donation to support Rowan's Gang! Happy to support my lovely wife as she donates lots of time and energy to the RMH. Lesley Pierri gave a $42.45 donation to support Rowan's Gang! Honored to contribute to this! Petrina Rapa gave a $25 donation to support Rowan's Gang! Tiffany Gagliano gave a $60 donation to support Rowan's Gang! Denise Riglioni gave a $42.01 donation to support Rowan's Gang! Good luck to the Trefz team - No better cause !! !